13-5150 Metrex Research Corporation, Wipe, Metrex Research Corporation, Caviwipes1, Extra Large, 9" x 12"
Metrex Research Corporation CaviWipes Surface Disinfectant Wipes, 9" x 12", 65 CT/CAN, 12 CAN/CS. 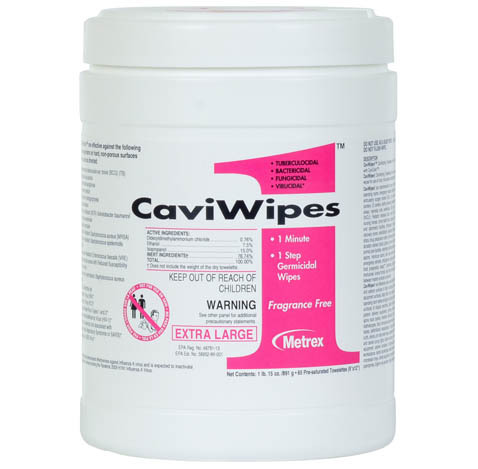 CaviWipes1, a multi-purpose disinfectant/decontaminant wipe, can be used on hard, non-porous surfaces. 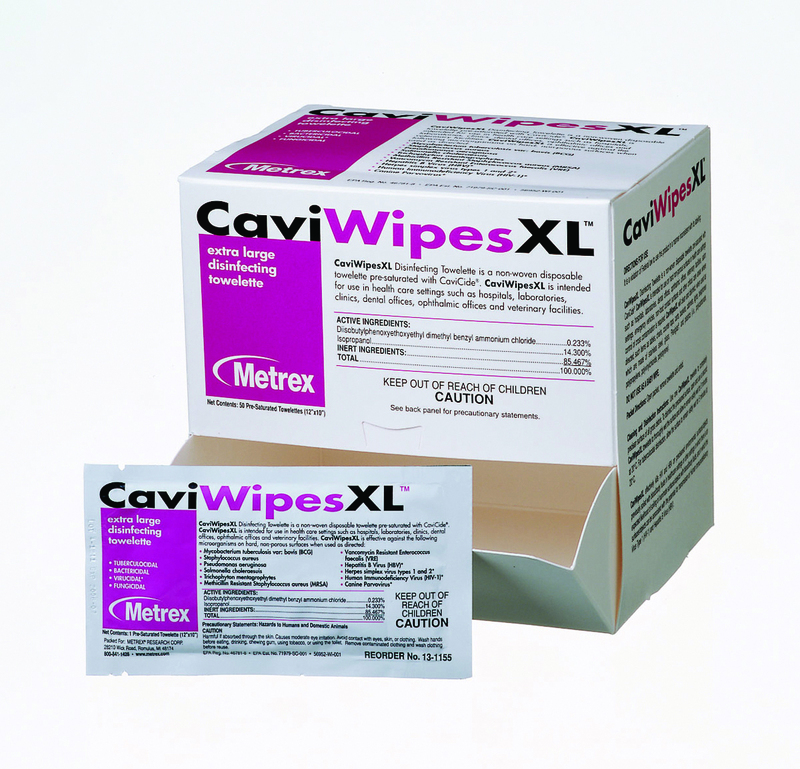 CaviWipes1 contains durable, nonwoven, nonabrasive wipes presaturated with CaviCide1. 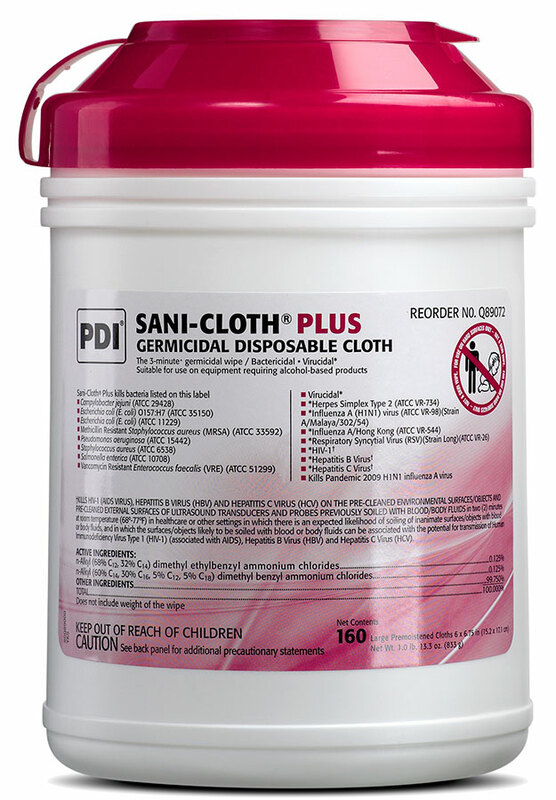 When used as directed, fragrance-free CaviWipes1 will effectively clean and disinfect surfaces and can help reduce the risk of cross-contamination. 1-minute contact time for virucidal, bactericidal (including TB), fungicidal activity. 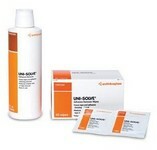 1-step cleaner and disinfectant. Available in multiple configurations for your office needs. Fragrance-free. Bleach-free. Multi-purpose cleaner for everyday use. 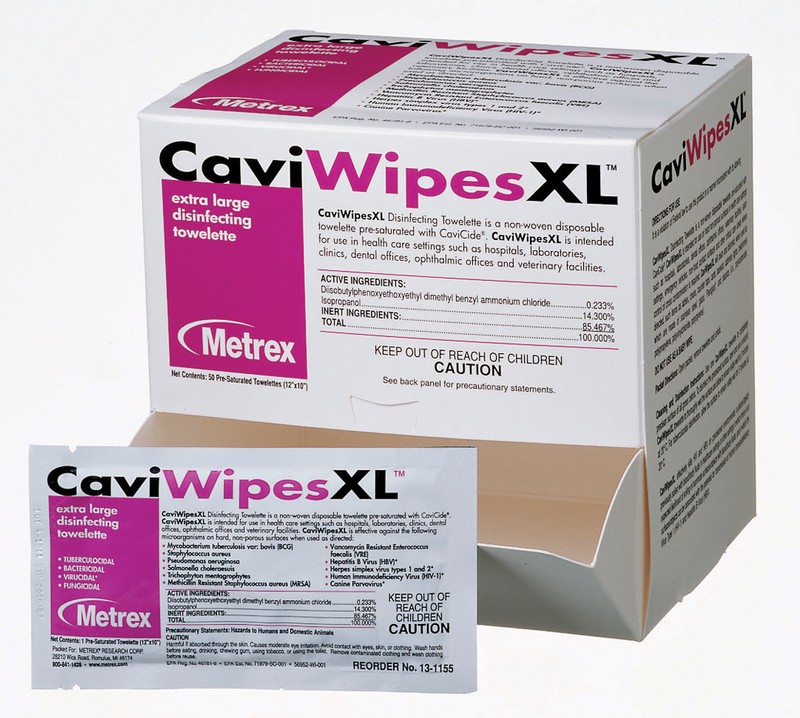 Name : Wipe, Metrex Research Corporation, Caviwipes1, Extra Large, 9" x 12"